Vivo V5 Plus comes with big feature, the 20-megapixel + 8-megapixel selfie camera and a 16-megapixel sensor rear camera. 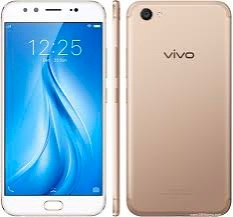 Vivo V5 Plus features a 5.5-inch full HD (1080p) touchscreen with 2.5D curved display protected by Corning’s Gorilla Glass 5. The smartphone is powered by Qualcomm’s Snapdragon 625 octa-core 2.0GHz chipset, accompanied by 4GB of RAM and 64GB of on-board storage. The device runs Android 6.0 Marshmallow based on Funtouch OS 3.0. Connectivity options include, dual-SIM card slots (nano SIMs), 4G support, Wi-Fi, Bluetooth, and USB OTG.